The government of India established the National AIDS Committee in 1986, which set the foundation for the establishment of National AIDS Control Organization (NACO) in 1992 to oversee the policies for prevention and control of HIV. To harmonize treatment practices between the public and the private sector since there are patients who seek care from both the sectors at the same time or at different points in time. These guidelines continue to evolve and are revised and updated on regular basis as per national and global evidence and recommendations. 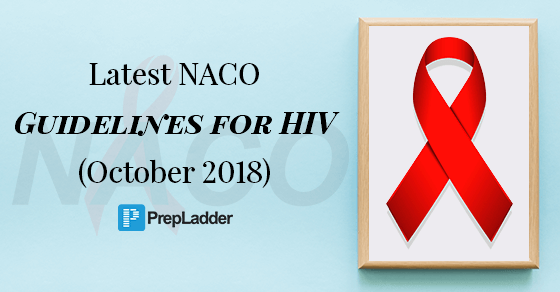 This blog will familiarize you of the latest NACO Guidelines (October 2018) for HIV. 3. NNRTI are not effective in HIV-2, so L/r should be used.